The GoPro HERO7 and Insta360 One X are two of the coolest little cameras on the market. Both are powerful, feature-rich and capable of adding something special to your films. But which one is better? Action and 360 cameras have come a long way. Having tried a few 360’s, the Insta360 One X (Insta for short) may be the first 360 cam I have found practically usable, particularly on the workflow side. The GoPro 360, for example, was a nightmare to ingest and edit. In this video, Jeven Dovey looks at these 2 cameras over 10 categories to decide a winner. So what were his results? Let’s not bury the lead. Across Jeven’s categories these come out as a tie, but his summary is interesting and should make purchasing decisions a good bit easier. 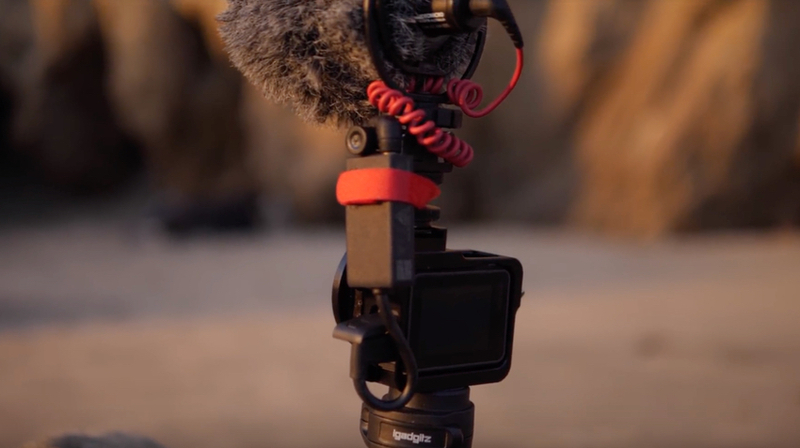 If you want to put together a super portable, lightweight vlogging set-up, with great picture quality and some decent audio options, then the GoPro is for you. If you want to shoot straight for social media and have lots of cool creative choices in post, then go with the Insta. Both these cameras do a great job with software stability and in this test, running through rough terrain, the results are really amazing. Hyperlapse is a cool technique when done well and it can add something fun to your films. The blur added to the Insta footage gives its time-lapse a fast, smooth feeling that’s really nice. In this Vlogging setup, the winner is clear as the Insta can only use the tiny built-in microphone and it doesn’t sound great. GoPro have made big audio improvements in this camera over previous generations but it’s the ability to add an external mic to the GoPro that gives it the big win. But be warned! 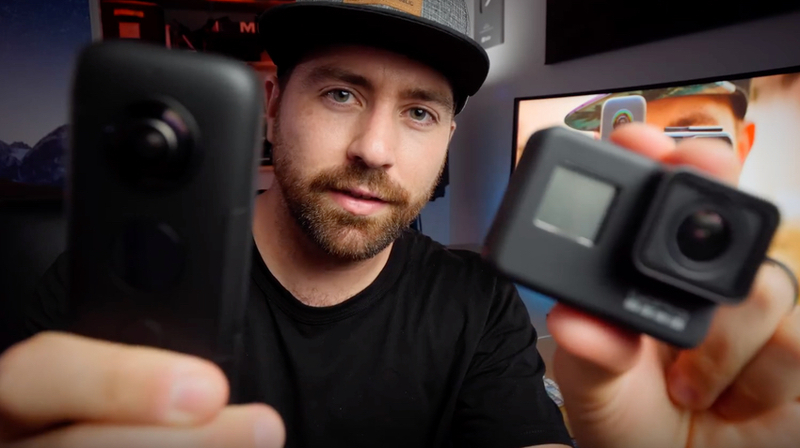 As you cannot monitor your audio clearly on the GoPro, either on screen or headphones, if something goes wrong, you may not know it until you get home to find footage with no sound – as happens in this video. I personally have no objections to using selfie sticks, you do you!, but I find some of these shots quite simply weird. The manner of holding the stick looks unnatural to me and along with the shadows on the ground, I find it distracting. The Insta eliminates the pole from the shot but that almost makes the ‘Statue of Liberty’ poses and shadows all the more strange. When used well though, as at 6.35, it can be a really useful tool. 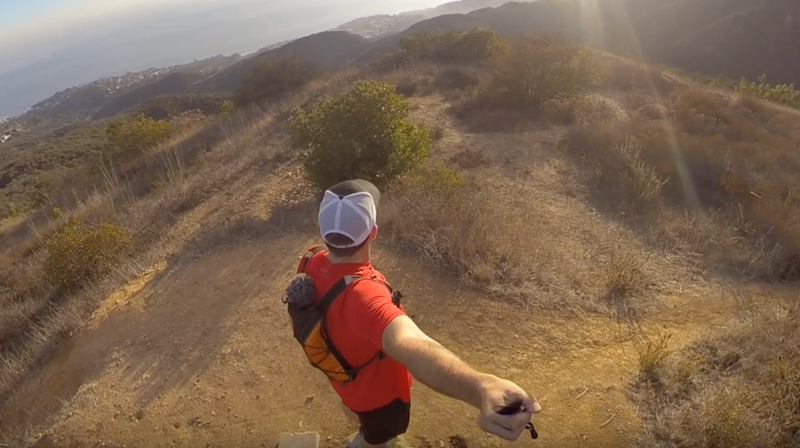 The GoPro workflow is a simple process – shoot, offload and edit. The Insta footage, however, has to be edited on your phone before it can be dropped into your edit. It’s another step to consider. Again, the Insta is ideal for straight-to-social videos. There are loads of options with the Insta and I really enjoy seeing what people come up with using cameras like these. The Insta lets you keep your shots moving, creating pans and tilts and all sorts, with some hyper-lapse and crazy transitions thrown in. Go wild and your edit could be burning up Instagram in no time! For many of us, this is the only category that matters. 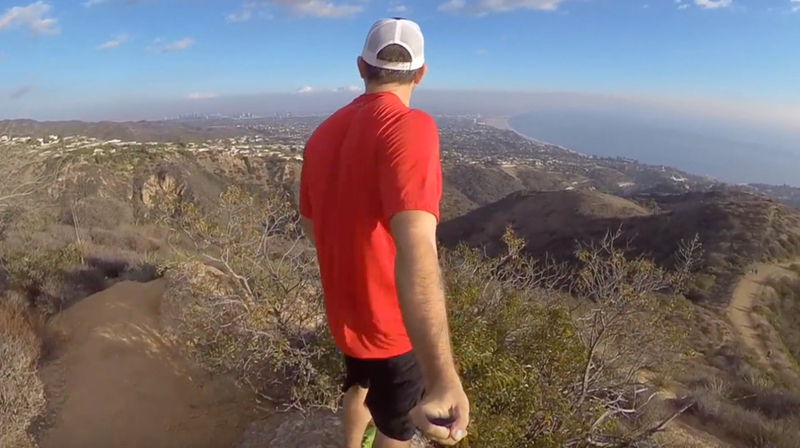 The GoPro will shoot good quality, hi-res 4k footage – simple. The Insta shoots 5.7k and crops in massively. For online where anything goes, the quality of the Insta may be just fine but for paying clients or any other broadcast I just don’t think the Insta is there yet, for anything other than a quick insert shot. As stated in 7, I just don’t think the Insta is quite there. 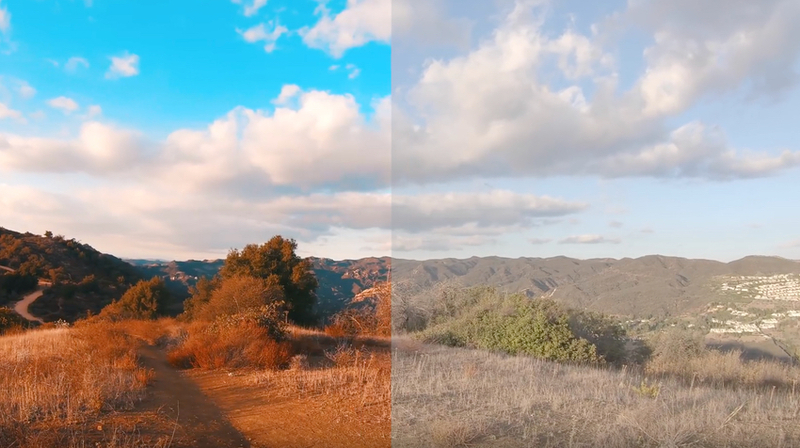 Jeven highlights the resolution and color grading differences between the cameras and he is right. Both of these cameras are great for social media but the Insta has loads of built-in options for getting your footage straight from your phone and into your feed. 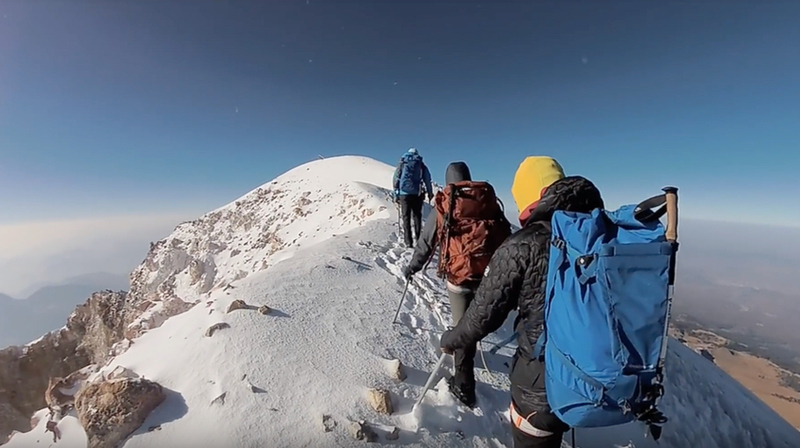 Never missing the shot is a lovely idea and Jeven gives a great example with some Mountaineering clips comparing a GoPro helmet shot with a 360 walking shot. It does skip the fact that one is still handheld which is a big difference. Jeven seems to like the creative options available in post and the ‘shoot without thinking’ mentality. Which leads me to my biggest question – do you really want to shoot without thinking? Having cameras like these in your bag can really help add an unexpected angle, capture a difficult shot, a POV or an exciting moment. For me though, the use of these cameras comes down to a fundamental choice about what kind of shooter you are. Jeven for example, in this video, is using these as A-Cameras and they are often simply capturing what he is doing. This puts the ‘doing’ ahead of the filming and a 360 camera used in this fashion is the ultimate version of this philosophy – it removes so much of the thought process from shooting in favor of a ‘capture all and forget about it’ style. There is no doubt though that when used creatively these cameras can shoot some amazing footage.